remember last month when I not so humbly bragged about having listened to 7 books? Ya well, that's not quite the case this month. Having said that, I haven't given up all together and still managed to listen to 4 books and, if I do say so myself, a book a week isn't too shabby. As you may know, part of the reason I got into listening to books was so I could participate in the Blended Blog's book club. This has given me some great book recommendations and allowed me to connect with some fellow readers/listeners. In June the Blended Blog switched things up a bit and Alison, of Puppies and Pretties, organized all of us who were interested in pairs. We each got a recommendation from the person we were paired up with and recommended something for them. The goal of this was getting us to read something out of our comfort zone. Soulless: An Alexia Tarabotti Novel - Alison didn't lie (obviously), this novel was filled with all things supernatural including vampires, werewolves and ghosts. She was also right in how surprisingly humorous it was. I found myself laughing, smiling and smirking at multiple points during my listen - this made more interesting, I'm sure, by the fact that I listen while at the gym and the random giggles and grins make me look a wee bit unbalanced or perhaps like I'm really enjoying my workout. Despite my initial doubt about this book, I very much enjoyed it. Actually, I enjoyed it so much that it's highly likely I'll be reading/listening to the next book in the series at some point! Thanks Alison for organizing AND making me branch out. My favorite part of this book? The unlikely and somewhat hilarious love story throughout - who knew?! What else have I been listening to? 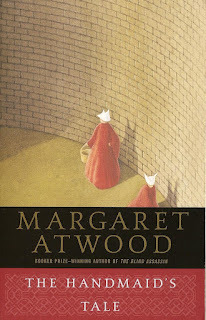 The Handmaid's Tale - Truthfully, my motivation for adding this to my playlist was primarily the fact that it seemed like everyone was talking about the tv series and I felt like it only made sense to read/listen to it before watching the series. 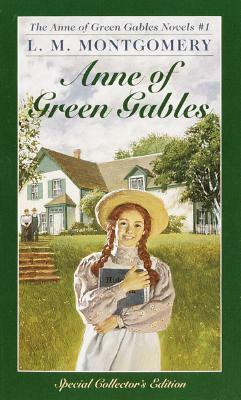 I have a vague recollection of this being on a reading list in late high school but I'm confident I skipped that selection because the story seemed brand new to me. The whole plot is disturbing but oddly fascinating. It was also a really interesting listen not just because of the story line but some of the words and phrasing used (I won't lie, I busted out Google for a few words lol). Having started the tv series now (and dragged Mr. B along for the ride) I'd highly recommend reading or listening to the book first. 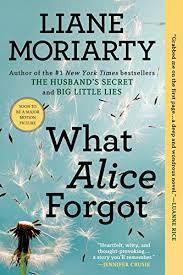 What Alice Forgot - My dear blogger friend, Deena, recommended this one as my next read. For some reason I was hooked within the first few minutes. Despite it being a fairly lengthy selection at almost 14 hours, I completed this book in record time (4 days). 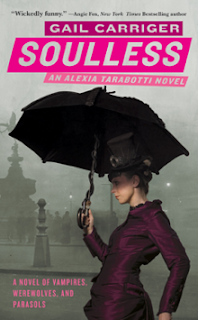 I found myself coming up with all kinds of things to do that allowed me to listen to this book (think walks, cleaning the bathroom, dishes, folding laundry - the list goes on). It's hard to pinpoint what I liked so much about this book but I think it boils down to the different way we perceive relationships and how sometimes we just need a little perspective, or perhaps to lose 10 years of memories. Either way, a great read/listen and I'd highly recommend. Thanks Deena. You can sign up for our book club online - since we had some great recommendations in our pairings last month, we're using those titles as our selections for July and August - read (or listen to) one or read them all! Your call. If you've posted a book review don't forget to linkup below!